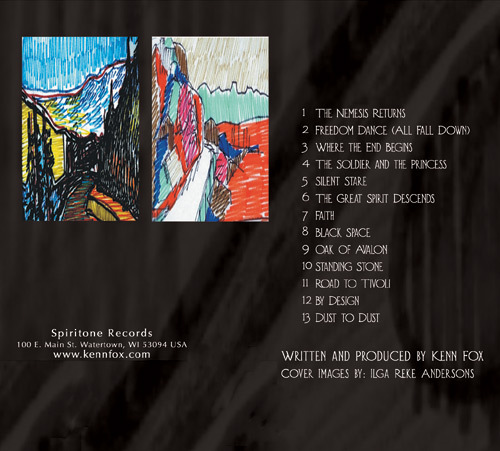 Named among the "Best of the Year" for 2007 by B-Side Records in Madison, WI! 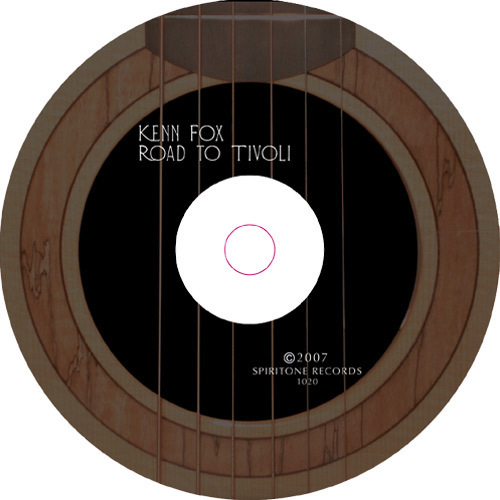 Road to Tivoli is the eighth solo instrumental recording by Wisconsin guitarist/composer Kenn Fox. This collection of new pieces showcases Fox’s innovative solo acoustic and baritone guitar work, but it doesn’t stop there, expanding on Fox’s extraordinary sound with several full band tracks as well. The band, comprised of Dave Finley on fretless bass and Jeff Moylan on drums (both from the Mare Edstrom Band), Susan Nicholson (Frogwater) on fiddle, and Jon Peik (Nob Hill Boys) on banjo, pushes Fox’s brand of Celtic fusion into uncharted territory. This music is melodic and dynamic, often riding heavy acoustic grooves hard. The entire CD flows remarkably from song to song, providing, as the subtitle suggests…A Soundtrack for the Movie in your Mind! There are also guest appearances by Wisconsin singer/songwriter/guitarist Tracy Jane Comer, on a gorgeous fingerstyle duet titled "Faith," and Blues singer Mare Edstrom, who plays some Celtic flute and even a bit of guitar. Beautiful cover images are provided by Wisconsin artist Ilga Reke Andersons.